History of Economic Thought, History of Economics, History of Economic Ideas, Philosophy of Economics, Political Economy, Economics. 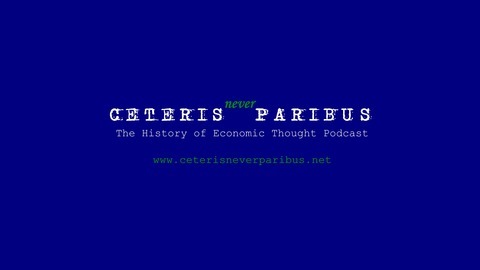 Guest: Peter BoettkeHosted and produced by Erwin Dekker and Reinhard Schumacher In this episode Erwin and Reinhard talk with Peter Boettke about his new book on Hayek, F.A. Hayek: Economics, Political Economy and Social Philosophy, published with Palgrave Macmillan. 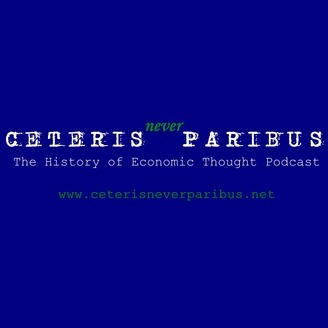 We discuss the various stages in Hayek’s work, Hayek’s relation to neoliberalism, Pete’s contra-Whig methodology for the history of economics (with a hat tip to Kenneth Boulding), Hayek’s relation to the Scottish Enlightenment, what it means to be an epistemic institutionalist, and the extent to which there was continuity between the early neoclassicals and the Austrian School. As well as many other subjects related to Hayek, and what a Hayekian research program looks like. Peter Boettke is Director of the F. A. Hayek Program for Advanced Study in Philosophy, Politics, and Economics, as well as the BB&T Professor for the Study of Capitalism at the Mercatus Center at George Mason University, and a University Professor of Economics and Philosophy at George Mason University. He blogs at coordinationproblem.org.